 SAFE-NATURAL-HEALING - Give your pets the competitive advantage they need when it comes time to combat or prevent conditions that are on-set with aging- such as inflammation and arthritis. Made using only the highest quality organic ingredients we can assure that you are getting a safe and reliable product you can trust. After all we believe our furry friends deserve only the best! 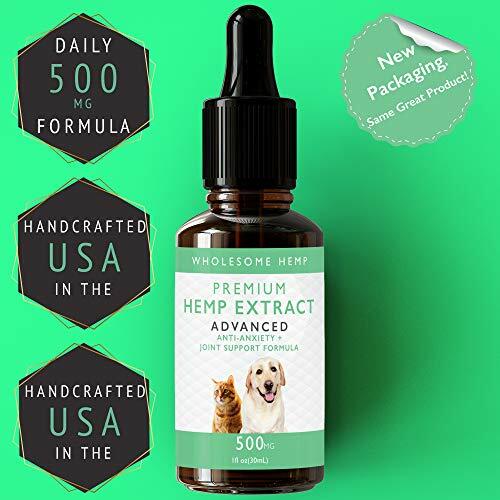 ‍⚕️VETERINARIAN RECOMMENDED - Full Spectrum Hemp oil provides a natural calming effect which may help relieve stress and anxiety related conditions. 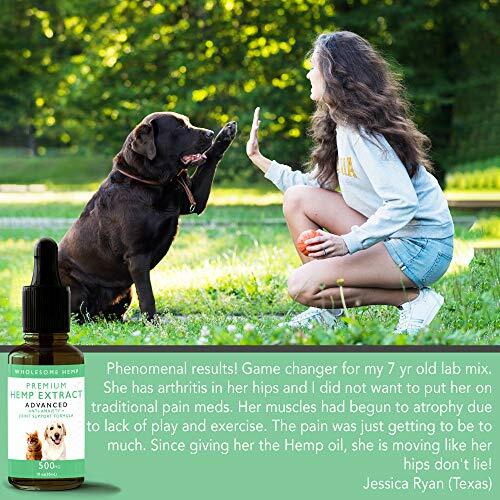 Hemp extract also has powerful anti-inflammatory and antioxidant properties which have shown to help relieve joint pain and achieve more mobility. Calm your anxious cat or dog down when it comes time to travel using all natural ingredients. 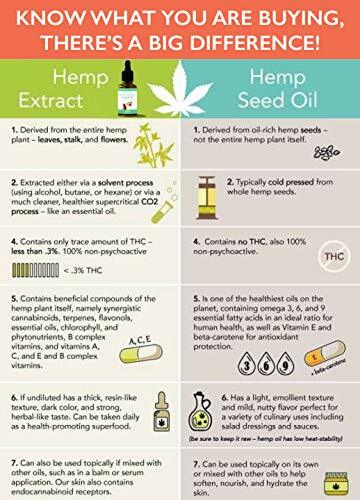 FULL PLANT EXTRACT - Utilizing a proprietary extraction process Wholesome Hemp offers the purest possible hemp oil with a full plant profile. 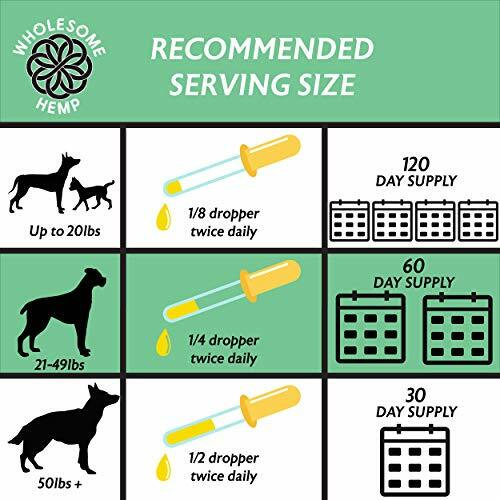 That means your pet is getting all of the natural healing properties that the hemp plant has to offer and it's easily delivered via our convenient dropper bottle. 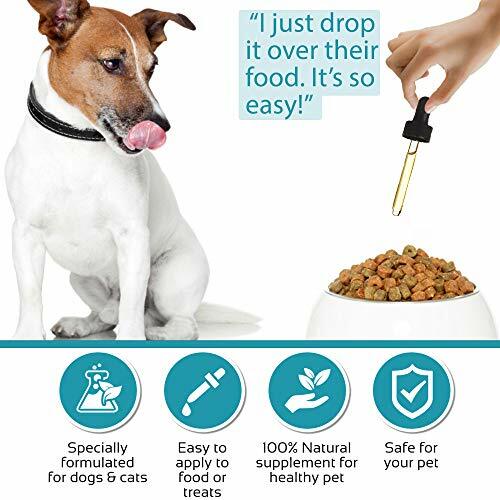 For those finicky pets drop the oil on food or chews. Our Hemp Formula is also full of healthy Omega 3's, 6's, & 9's.  LAB TESTED QUALITY - Our hemp is grown in Colorado using organic farming practices which means no GMO's no harmful herbicides and no pesticides. Just to make sure we are putting out the purest product possible our in-house labs test every batch to make sure it's free from impurities. 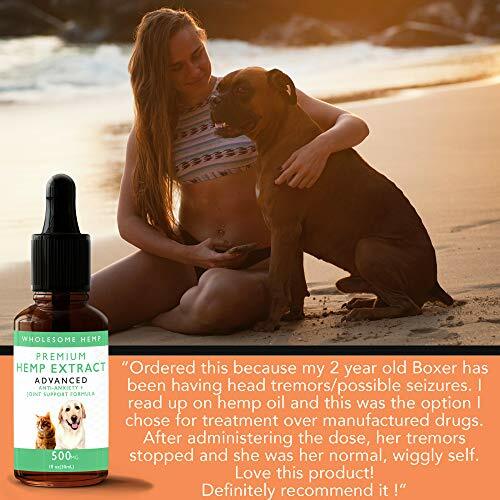  100 % SATISFACTION GUARANTEE - We have created a premium therapeutic grade product that we stand behind with 100% confidence in its' (potential) healing abilities. Your pet's have everything to gain and you have nothing to lose with our "Satisfaction Guarantee". Discover the healing potential that Full Spectrum Hemp oil has to offer! 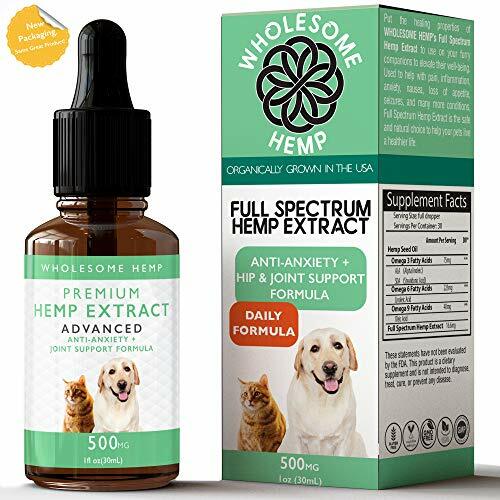 Wholesome Hemp has created a premium pet formula that increases a pet’s natural ability to heal itself. The healing compounds in the hemp plant influence the body to go into a state of homeostasis (a balanced state where bodily functions are operating at optimal performance) and this is when the most healing happens. 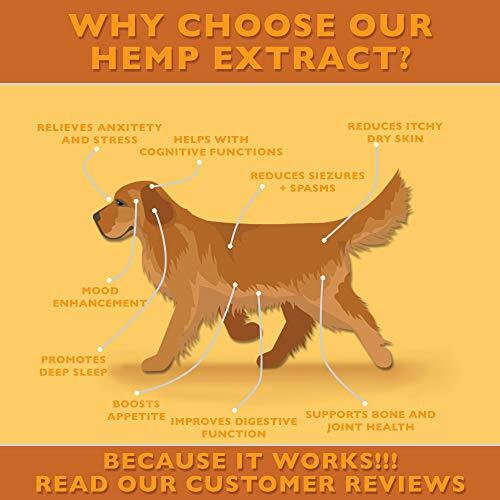 Hemp oil for dogs is a great natural medicine that provides anxiety relief for dogs and cats. We want your pets to be healthy and happy and that is why we encourage everyone to give Wholesome Hemp’s Pet Formula a try! We recommend, to see the fastest results, that you follow the recommended dosage on the bottle and administer the oil twice daily. If you stay consistent, the results will follow! Click “add to cart” now and your pets’ will thank you.